The research is in and the unanimous champion for your immune AND digestive system health is…you guessed it, probiotics. The reason being is these hard-working live bacteria are essentially the knight in shining armor to your damsel in immune-gut distress. With approximately 80% of your immune system located in your upper GI tract, maintaining the balance between good and bad intestine flora just became that much more crucial to your body’s ability to fight infection. And protecting that balance is EXACTLY what probiotics do. You see, a healthy stomach should have a good bacteria bad bacteria ratio of 85%:15% but when that ratio is skewed, that’s when you suffer ailments ranging from indigestion or IBS to even some mental disorders such as depression. The scary thing is that these life-altering imbalances can happen from hundreds of different causes at no fault of yours. Any time you take an anti-biotic or go through some sort of hormonal change, you risk upsetting the natural balancing act of your intestines. Anti-biotics are great for wiping out infection-causing bacteria, but unfortunately that leaves room for both good and bad to grow back in its stead and they almost never grow back in the perfect 85-15 ratio our body needs. However, probiotics ensure that that balance never gets out of whack and keeps the bad bacteria in check, which is why experts deem probiotics aren’t just a good idea, but a routine necessity. Probiotics are good for you that much is clear. Now comes the part where you need to choose which product will give you the results you need at the price you want. We’ve compiled together some hot-ticket features, so you can get a better understanding of what exactly you’re looking for in a probiotic supplement. Whether it’s achieving optimal digestive health, clearing up some acne or boosting your immunity to help fight off the H3N3 strain this flu season, there’s a probiotic out there waiting to fight your battles for you. Here are some of those features that earned themselves a “necessity factor” when it comes to purchasing a probiotics supplement for everyday use. The truth of the matter is, quality over quantity is what really matters in the case of colony forming units, or live cultures of bacteria. 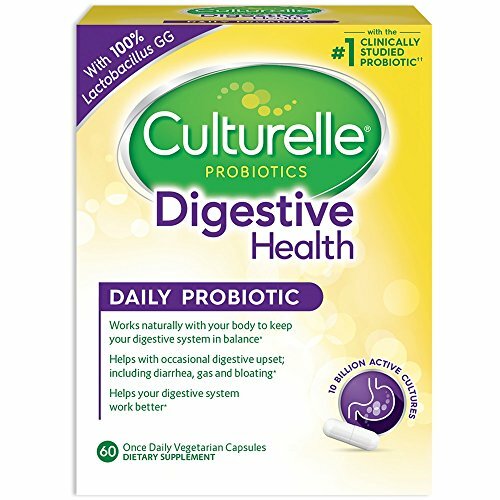 It is also important to recognize why you are taking probiotics so you can narrow down an appropriate culture number for you. For instance, 5-10 million CFU will maintain an already healthy digestive environment while 30-50 billion are recommended for some IBS cases and other specific ailments such as eczema allergies and some respiratory illnesses. Keep in mind, probiotics are not a cure all answer to these ailments, but a supplemental aid. Ultimately in the case of CFU, the higher the number, the higher chance these bacteria have in reaching your intestine. There are millions of different strains of bacteria however the most beneficial that are frequently promoted among probiotics are bifidobacterium and lactobacillus. The main duty of the Bifidobacterium strain is to ward off against invasive bacteria and other harmful microorganisms while the lactobacillus strain maintains the integrity of the intestinal wall, ensures proper nutrient absorption and pretty much allows the faultless process of your upper GI tract. These two strains of bacteria typically ensure a healthy digestive system, however they are only beneficial to approximately 80% of the population. If you find that these two common strains are not achieving the results you desire, try a probiotic with bacteriodes, a soil-based strain since you might have a specific allergy or need that fits in with the 20% umbrella. Patented Absorption Technology For Up 14.2 times More Powerful Than Average Probiotics. *Start Feeling More Energetic and Less Bloated Today. This product has 980 Amazon reviews listed with 83% at 5 stars, 11% at 4 stars, and 3% at 3 stars. With 7,329 reviews on Amazon, this product is showing 69% of reviews rating 5 stars, 11% rating 4 stars and 7% rating 3 stars. This product shows 456 amazon reviews with 67% at 5 stars, 18% at 4 stars and 6% at 3 stars. These three products made our buyer’s guide due to the high ratings and customer approval compared to other competitors. 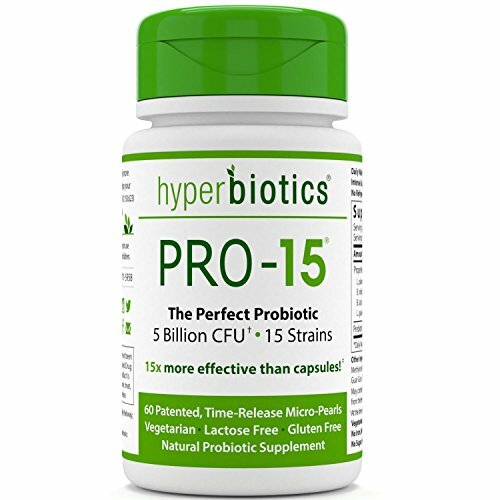 However, these are by no means the only options available in the explosive probiotics market and it is important to make sure your probiotic supplement is accomplishing exactly what you want it to. 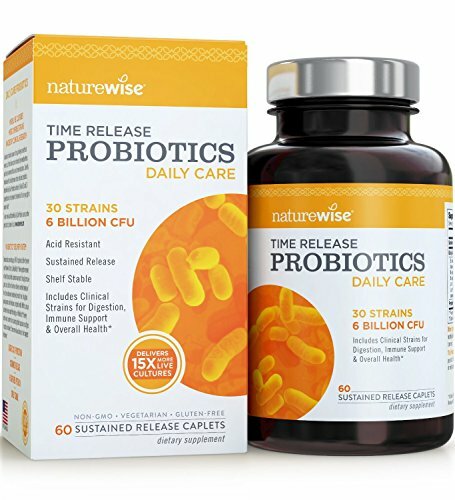 Hopefully this list jumpstarted a new journey for you and your probiotics supplement purchase, so you can start to experience optimal health for your digestive system, your immunity support and especially your happiness. Michelle Chen has written articles on a wide variety of topics such as technology, health and wellness, sociology and culture, entertainment, as well as travel and recreation guides. She has worked throughout her community to bring physical education to elementary schools and provide accessibility to extra-curricular activities for inner city youths through various organizations. In her free time, Michelle enjoys volunteering at her local animal shelter, hiking with her two Labrador retrievers and practicing yoga.